1. 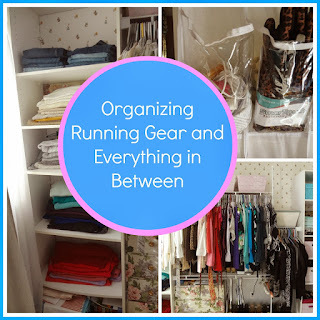 How to Organize Running Gear. 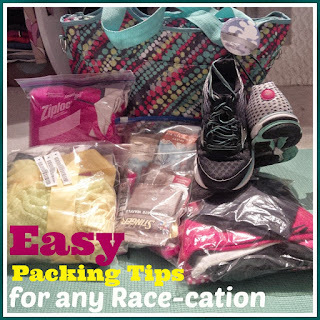 In this post I talked about what to do with all the running clothes and how I gave them a special home. In addition to what is already in this post, I plan to get an over the door shoe hanger for the upstairs closet and put more of my loose running items in it like visors, calf sleeves, Water bottles, GU's, and Protein bars. I think removing all my running water bottles from my kitchen will really help give me my cupboard space back. 2. How to Pack and Stay Organized. 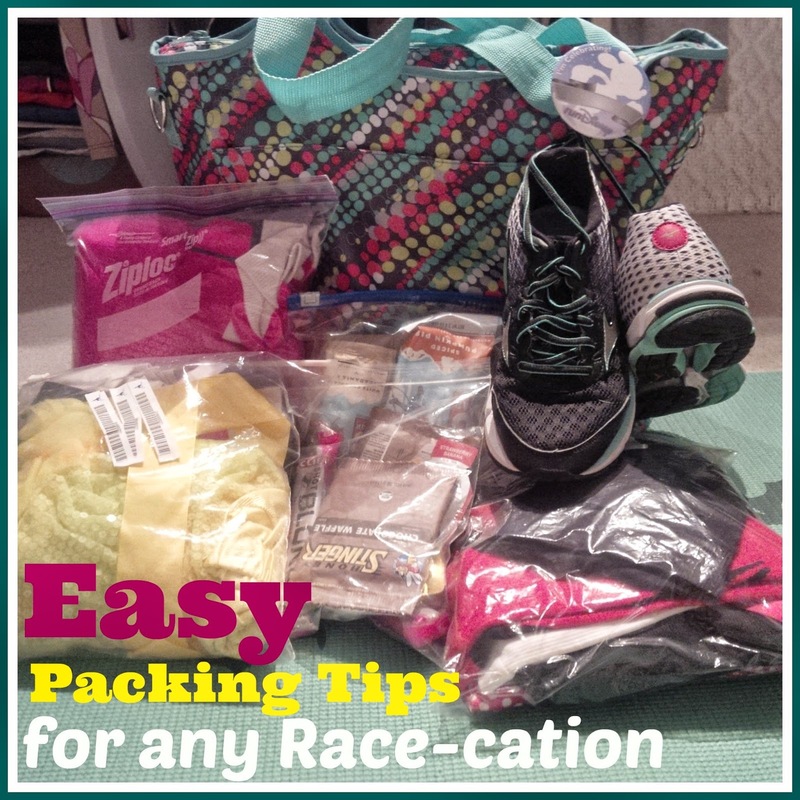 In this post we talk about how to organize everything you need for a race-cation in ziplock bags and take everything you need in just a carry-on bag! 3. 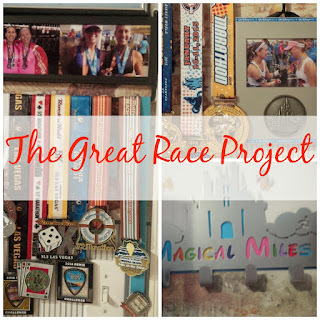 The Great Race Project. 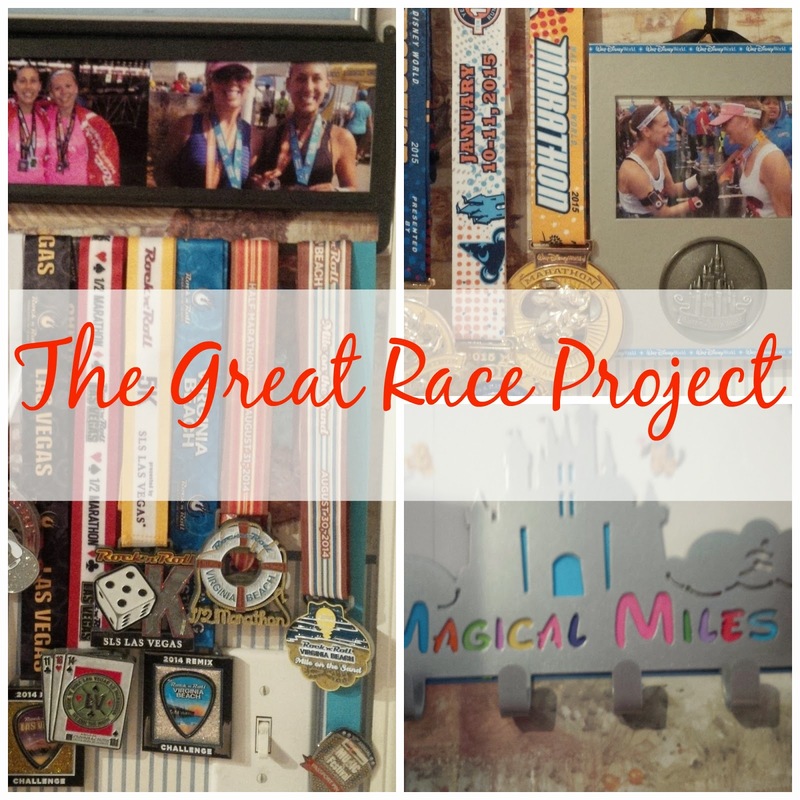 In this post I finally organized all my race medals, pictures, and certificates. It use to look like a mess with over filled medal hangers where you couldn't even see all the medals. Now it is nice and organized and a wall that I am proud of. I still haven't hung up my Pixie Dust Challenge medals yet so I guess this wall is due for an update soon. 4. 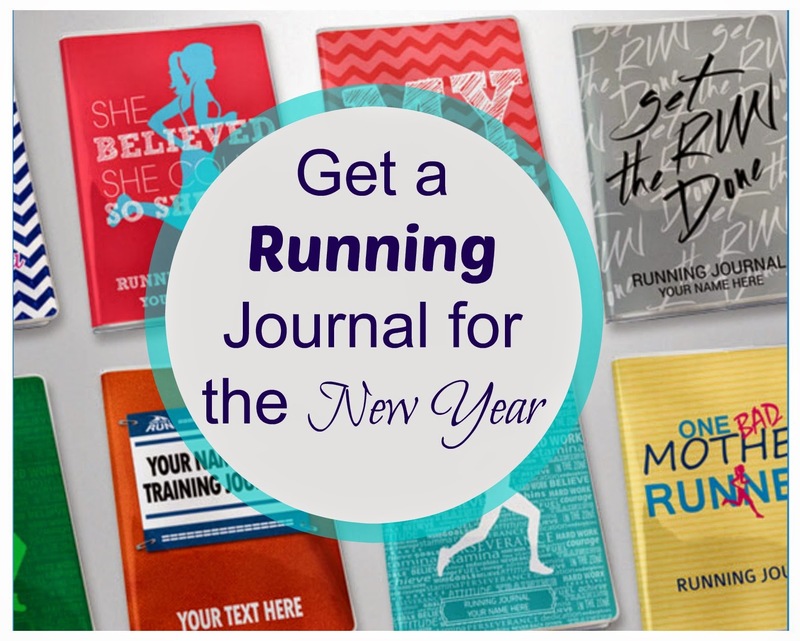 Get a Running Journal. In this post we talked about how great the Running Journals from Gone For Run are. It is much more than a journal, it's almost like a scrapbook. 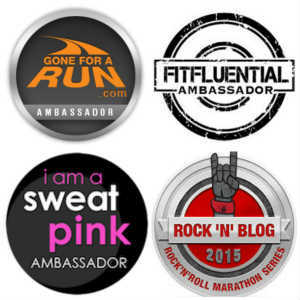 It's a great way to organize training runs, races you've done, bucket list races and PR's. I for one had big plans for this journal this year but as luck would have it my training has been non-existent. I have been having fun recording all the races that I have done so far in the race section though. 5. Organizing Everything. 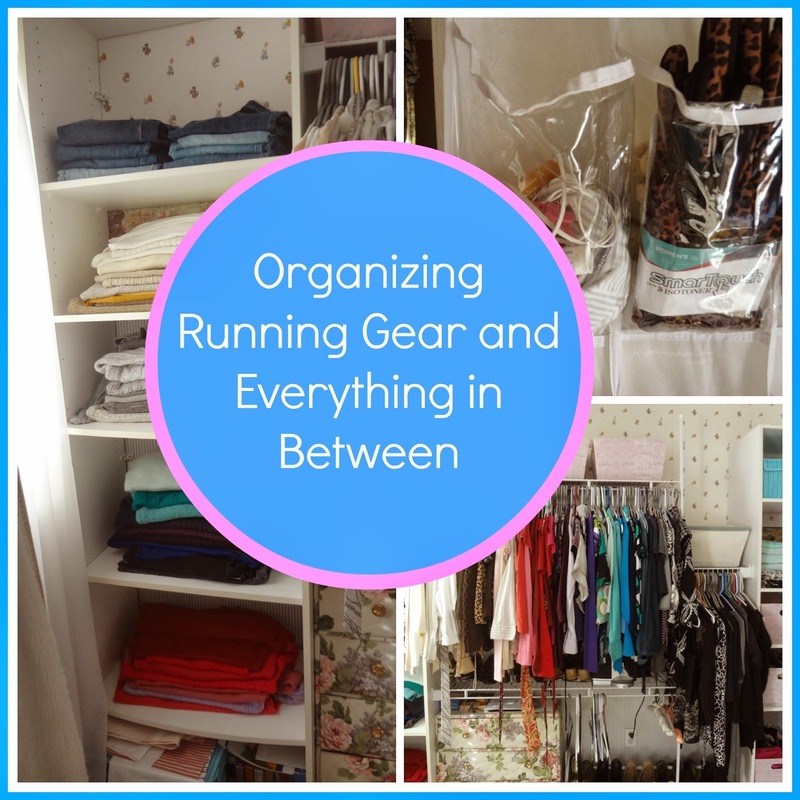 In this post I not only talk about organizing my dressing room, again, but tips for organizing things in your kitchen and other places in the house because lets face it, our running stuff trickles around the house everywhere, no? After returning from California this week, we still haven't got back into the groove of things. I talk here about being organized but truth be told I still haven't even unpacked my suitcase yet. I will get to that and then probably have to re-organize things all over again! What in your life (or your home) needs organized right now? I'm a big fan of running journals and use one to keep track of my mileage. I love how you guys have organized! And I'm in agreement with the running journal, definitely a must have for me! My whole life needs organized lol! 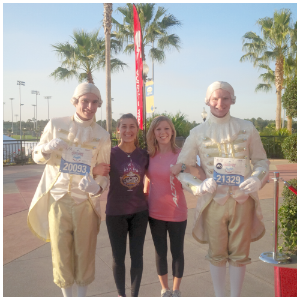 I'm so challenged in this area! Thanks for the tips. This linkup is really giving me good ideas! I had everything all rolled up and organized and then it wasnt' again. Oh I might need help! Very cool. A post of five posts. Already opening some in more tabs to go read. We have a diaper bag in that exact pattern from the racecation picture. I was like. hmmm, that looks familiar. Organization is key for me. Without it, I would go nuts trying to figure out where everything is in my house! It's so impressive how organized you are! We just did a closet purge and organized the closet, and it feels so much better going in there now :) The garden is my current project, and getting some patio furniture so we can spend some more time in our backyard this year. Um, yes to ALL of these posts! I've pinned some of them so that I can find them easily later on; there are some great tips in here! Thanks so much for sharing all of these ideas; I, too, am addicted to over-the-door "shoe" organizers. They are so versatile! Hope you have a great weekend! Ha! My suitcase from Everest is still by the door. I have only pulled out the dirty clothes to wash, everything else is still there. I'll catch up, eventually (hopefully before my next trip). Ha! You got further than me then! I hadn't pulled anything out but my hairbrush! I just ordered a running journal in preparation of my marathon in April of next year. Thought it would be fun to journal the year's adventure. Should arrive any day ! Ugh - you reminded me - I wanted to post about using a scrapbook... I love organizing everything - even down to the details of a race. I am pinning this! It looks like you have some great posts that I want to be sure to read later! This is awesome! I recently sorted through all of my workout gear and got rid of the clothes that chafed or that I didn't really like. 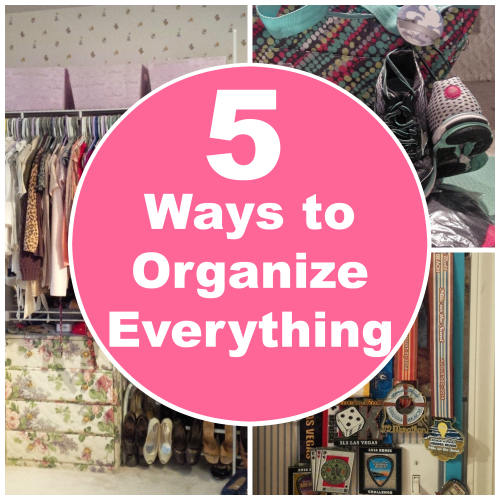 Now I'm ready to organize what I have left - perfect timing for me to read this post! A lot of people recommend a running journal. I've never kept one. I feel like it's too late for me to start now! I love how organized you are! I keep thinking about getting a running journal. The shoe hanger for random items is great idea too! My closet shoe organizer is one of my favorite things. One of the extra perks is that I don't want to have more shoes than will fit in it - forces me to get rid of what I don't wear. Thanks for sharing all of your organizing tips in one post - great idea! welcome back home -- thanks for sharing some of these posts that I somehow missed! I really need to organize some of my drawers. Stuff is pretty crammed in there. You're so organized! Lots of good posts to read! 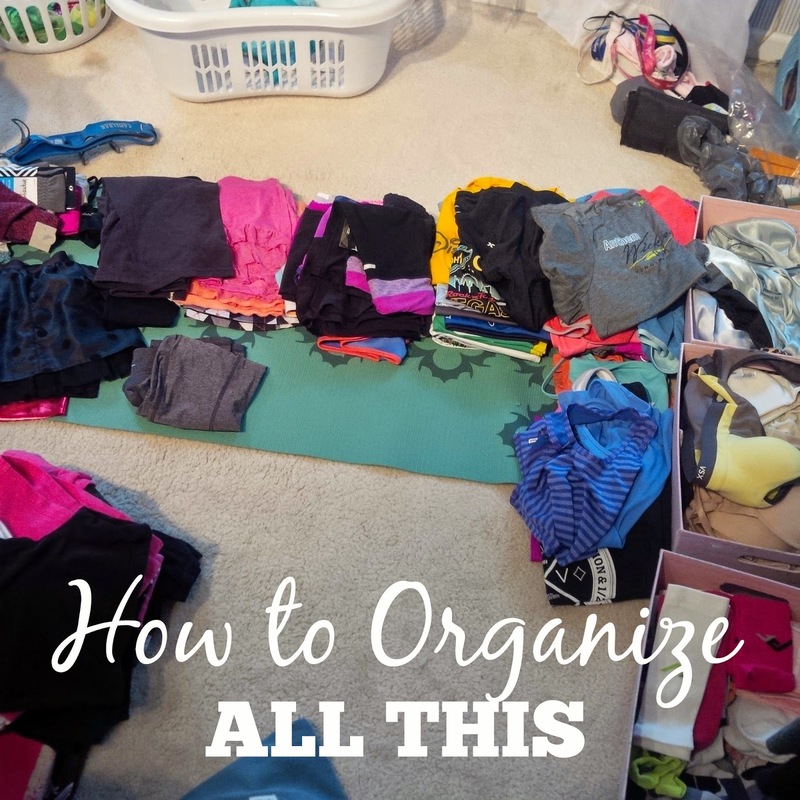 Personally, I organize my clothes by work, exercise, and regular clothes. Then I organize by type- dresses, skirts, long sleeve, short sleeve, etc. Thanks for sharing - I'll need to go and read through them (I think some are "new" to me).